RUSH: There’s another home run column today at the Tablet by Lee Smith. It’s very long. It prints out to 10 pages. I’m not gonna have a chance to read through all of it, but he leads with what I thought was the most scandalous event at the White House Correspondents’ Dinner on Saturday night, and it wasn’t the comedienne. The most scandalous thing that happened was the award that they gave to CNN. Now, just to review this, James Clapper was the Director of National Intelligence for Obama. Without going through an entire timeline, I’m gonna tell you what we now know. None of what I’m going to say next is speculation. We know that the Steele dossier and the golden showers story was circulating throughout the summer of 2016, even before that. We know that the media was desperate to print it. But the problem was, none of it was true. Note that that didn’t bother them. 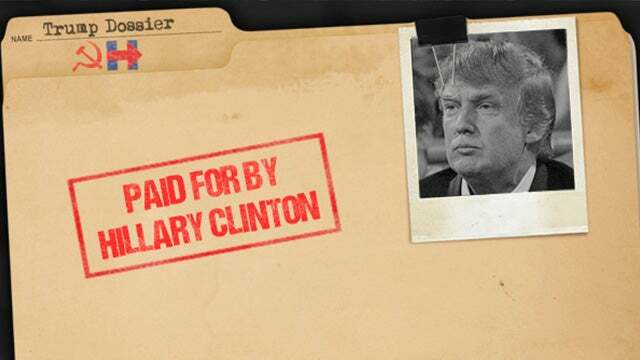 The fact that none of it could be verified, the fact that none of that dossier could be corroborated, and then later the fact this was a political opposition research commissioned and paid for by Hillary Clinton, none of that mattered. They wanted it printed. They needed a hook. They needed a news hook. They needed for that dossier to end up in a news story or an event that could have been portrayed as a news story. Welcome James Clapper. James Clapper, office director national intelligence, told James Comey to brief Trump on the dossier. Comey did. And even in interviews for his book, Comey is acknowledging “my assignment was.” He doesn’t mention Clapper, but we had the sound bite yesterday. Comey’s assignment, which he now acknowledges, was to tell Trump about the dossier on January 6, 2017. This is before Trump is inaugurated. Comey does. He’s in the Oval Office, he tells Trump about the dossier, but specifically the golden showers story. That’s what they wanted out there. That’s what they knew everybody would remember, would visualize, would think is horrible, that Trump had hired prostitutes to pee on a bed Obama and Michelle had used in a trip to Moscow. Ooh. They wanted it out there. But it was not true. They couldn’t verify it. Nobody had any evidence that it ever happened. So Clapper — and he was working with John Brennan, who’s Obama’s CIA guy who I actually think is the lead head honcho of this entire deep state effort to get rid of Trump. So Clapper tells Comey to go clue Trump in. Comey does. January 6th. After Comey informs Trump of the dossier, Clapper then calls CNN, which he initially lied about. Clapper called CNN and told them that Comey had just presented Trump with the dossier, specifically the golden showers story. Four days later, January 10th, CNN runs: Breaking News! James Comey, the director of the FBI, has shown Donald Trump the dossier. That made it news. CNN then runs the story as breaking news. The whole thing was manufactured. It was not a scoop. CNN didn’t learn anything. It was a leak from the Obama Director of National Intelligence. CNN and their four reporters, including Evan Perez, who — it’s not been disclosed — worked for Fusion GPS, which hired Steele! CNN’s never disclosed this about Perez. Perez and Jim Sciutto and a couple other people, these four guys got awards on Saturday night for breaking the story, when the whole thing was manufactured. They walked up there, they accepted the award, the room applauded. It is a scandal because it wasn’t breaking news; it wasn’t shoe leather; it wasn’t reporting. It was leaking. It was a conspiracy between Clapper and Comey and Brennan, who were conspiring to find a way to get the dossier in the news! And, by the way, once Comey had presented it to Trump is when BuzzFeed then had their hook or excuse to publish the whole thing with all the caveats that none of it could be proven, none of it had been proven or corroborated, but we think you should see it. January 6th, Comey, after being instructed by Clapper to show Trump the dossier under the guise of “briefing the president on intel.” They didn’t tell the president it was Hillary Clinton opposition research. Comey’s admitted this. He didn’t think it was important. They didn’t tell Trump where it came from. They didn’t tell Trump it was a bunch of lies. They did say, “It’s kind of salacious, haven’t been able to verify it yet. We’re still looking into it. But you need to know this.” Four days later, it shows up on CNN. Clapper initially lies, saying he had nothing to do with it, but then had to change and tell the truth ’cause he was under oath. “The White House Correspondent’s Dinner Saturday night was a platform for the media to push back against [Trump]. While Donald Trump constantly derides the top brands in American journalism as Fake News, the WHCA’s prize committee presented the Merriman Smith Award for broadcast journalism to CNN’s Evan Perez, Jim Sciutto, Jake Tapper, and Carl Bernstein for their January 10, 2017 story reporting that Barack Obama’s four intelligence chiefs briefed Donald Trump that Russia had compromising information on [Trump]. “The compromising information … was sourced to a 35-page-long opposition research file,” blah, blah, blah. “CNN has never disclosed the close relationship between Evan Perez [and] Fusion GPS… That story is now coming into focus with the recent release of seven government documents that together detail a working partnership between spy agencies and the press that helped a political attack meme go viral…” Oh, yeah, I forgot to mention. 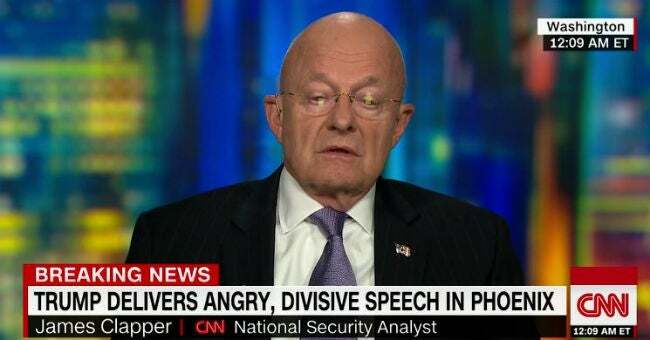 After Clapper instructs Comey to tell Trump about this fake, fraudulent the dossier and then Comey does it and then CNN gets their, quote-unquote, “breaking story,” Clapper was hired by CNN! Essentially CNN paid Clapper to do what he did by hiring after the fact, and now he appears routinely as an “intelligence analyst” on CNN. Hence the headline: “Are NBC and CNN Paying Off Top Spies Who Leaked Info[rmation] With On-Air Jobs?” Yeah. NBC has been engaging in similar activity, hiring former intelligence operatives who have leaked information to them. It’s a way of paying for news! It’s not news, though. It’s a way of paying for politically oriented leaks which are not news. This whole thing is contrived and made up. It’s an elaborate effort behind the scenes to get a piece of junk, the Steele dossier, reported in mainstream media as a legitimate piece of intelligence and thus a news event. And it’s in the midst of all this that we have the special counsel investigation with this idiotic list of open-ended questions asking the president what he thought, what he was thinking. Mueller’s not entitled to know that! There aren’t any crimes involved in what the president’s thinking unless Mueller can turn all of this into conspiracy to obstruct. It’s just more evidence why Trump should never, ever get anywhere close to sitting down. And if there are subpoenas, if Mueller subpoenas… Mueller is so far beyond his executive authority right now that Mueller and his team are the ones that need to be investigated — and if there are subpoenas, Professor Dershowitz is predicting a major constitutional crisis. 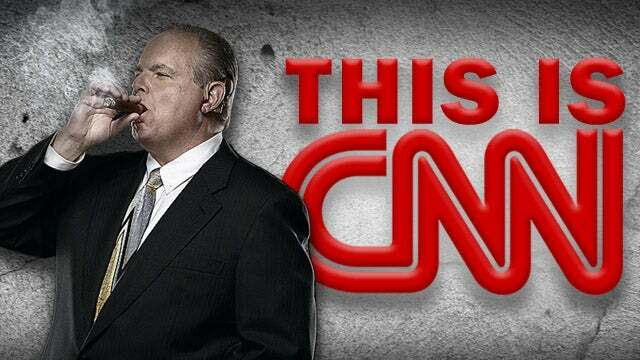 RUSH: Because of things we now know, we are better able to understand things that happened not that long ago. I want to go back to James Comey’s first interview with George Stephanopoulos on 20/20, and it’s already scrolled out of view. So I’m gonna have to reconstruct this from memory. You remember that Comey was asked by Stephanopoulos if he told Trump that the dossier was written by Hillary Clinton — paid for by Hillary Clinton and the Democrat National Committee — and that it was basically opposition research. And Comey, remember his answer? Comey said, “No, no. That was not my goal. That was not my goal.” When I first saw this, I thought, “What was your goal?” Well, now we know. Well, we now know the goal and the assignment were the same thing: Get that dossier into the news on CNN. It was specifically for CNN, by the way. That’s who Clapper had the leaking relationship with, CNN. We know this now because CNN turned around and hired him. RUSH: Michelle Wolf. Name ring a bell? (interruption) That’s right. Michelle Wolf was the so-called comedian at the White House Correspondents’ Dinner. She’s refusing to apologize. She says if she had to do it again, she’d say the exact same thing and she’d double down. She’d say even more. She specifically said that she’s not gonna apologize to Sarah Huckabee Sanders. You know why? Because Sarah Huckabee Sanders did not applaud when CNN got its award! Sarah Huckabee Sanders knows that journalism was not how CNN got that story and therefore it’s not worth an award. But I mean you talk about small, sour grapes?